Formerly the Sleep Comfort Care Pad the re-named Gecko™ Nasal Pad delivers the same comfort customers came to depend on with the Sleep Comfort Care Pad. The Gecko™ pad provides an extra layer of soft padding between the nasal bridge and mask in order to reduce nasal skin irritation, nasal bridge soreness, and mask leaks. ResMed has always prided itself on designing comfortable masks that make it easy to achieve and maintain a seal. At the same time, they recognize that some people, whether they are new patients getting adjusted to therapy or experienced users, may experience some sealing and skin sensitivity issues. So ResMed is offering Gecko™ nasal pads and to help improve patient comfort and satisfaction, resulting in better overall compliance. 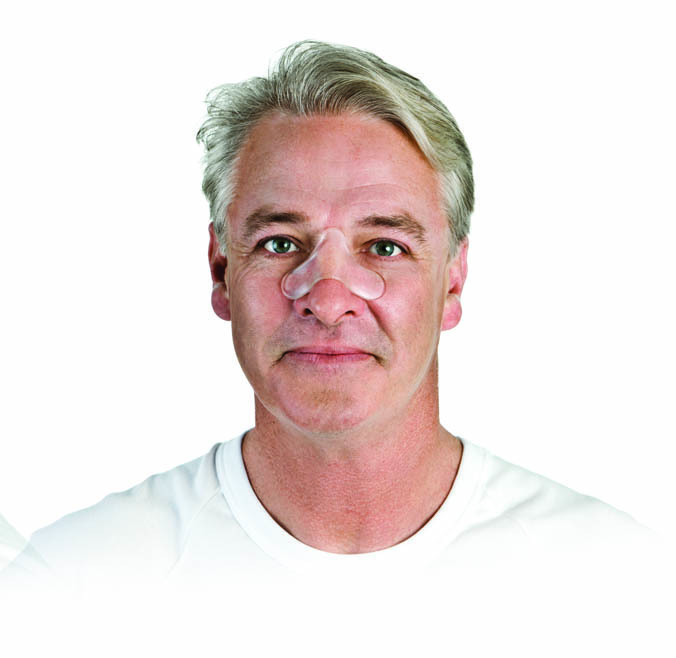 The Gecko Nasal Pad protects against skin irritation, bridge sores, red marks, and helps to seal those hard-to-fit areas along the bridge of the nose. Made from a polymer gel material, the Gecko is washable, hypoallergenic, silicone and latex-free. With proper maintenance, a single Gecko Nasal Pad is designed to last approximately a month. The Small is 3.5 inches wide and 1.5 inches high. The Large Gecko Nasal Pad is 4.2 inches wide and 2 inches high.